ms award, we know the winner! 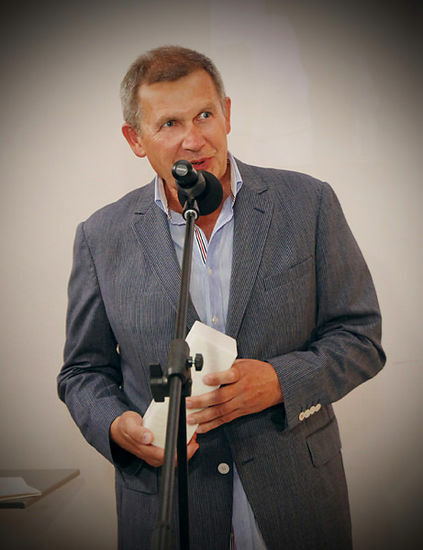 The third edition of ms award winner is Piotr Dziecioł, the owner of Opus Film, the film studio that documents artistic projects, exhibitions and other events in Muzuem Sztuki. He supports as well the Muzuem Sztuki Community Council from its begginings. The idea of cooperation between Opus Film and Muzeum Sztuki appeared two years ago. Along with being part of the archive, short films from Muzeum Sztuki projects can be watched in the internet. Additionaly Opus Film is involved in projects of artists that cooperate with the institution. Last year the projects of Katarzyna Kozyra, and this year of Oscar Dawicki was realized thanks to the award-winner. - I am really pleased that all this projects will not fall into oblivion, but will stay with us for a long time, and that they can be watched at the website of Muzeum Sztuki – underlined Piotr Dzieciol while receiving the prize. This year, for the first time, the transition from the ceremony could be watched directly in streaming. Reality ms convention made it possible to all interested public to find themselves in the middle of media reality. Direst transmission in the internet was realized by DOT FILM company from Lodz. To watch productions realized by the Opus Film for Muzeum Sztuki click here.